Horstmann Technique, Raindrop Technique, Reiki, Energy Healing, Ayurvedic Body Treatments, Jaw Release, Massage (remedial and relaxation). 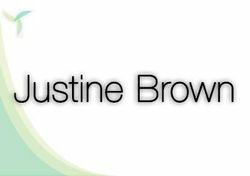 Justine has been practising bodywork for 12 years and is increasingly attracted to the metaphysical aspect of healing and relating to people. She loves to share this passion with people. She provides the space for people to feel themselves and come back to their own intuition about their direction and purpose in life. She uses communication to understand what is happening in people's lives and how this relates to difficulties in the body to enable people to create the things they want. 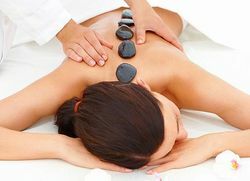 She works intuitively in her bodywork to release energy blocks according to where the person needs this and each treatment can be very different. She provides the care and nurturing for people to be able to let go of the stress and tension to feel renewed and energised. The Horstmann Technique is a gentle bodywork process that can facilitate healing changes physically, emotionally and mentally. Old trauma or negative experiences lodge in the cellular memory of the body which may cause postural, biochemical, behavioural and subtle energy system imbalances. Releasing these blocks can relieve back pain, neck and shoulder pain, sciatica, migraines, anxiety, stress, depression and emotional imbalances. Although the Horstmann Technique is simple and subtle it can bring about rapid results, sometimes after only one session. Marked healing and transformation is not uncommon following a series of treatments. Indian Head Massage with medicated hair oil. Indian Face Massage with medicated coconut oil and Ayurvedic Herbal Face Pack (mixed with cows milk that improves skin tone, helps with wrinkles and marks). Sirodhara is the pouring warm medicated liquid (sesame oil or milk) on the forehead in a continuous stream. Nourishes the nervous system, calms the mind and brings balance back to the body. Helps with stress, nervous disorders, insomnia and skin diseases. 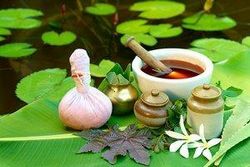 Kadeevasthy is a medicated oil that is continuously warmed inside a well of dough on a particular area of the back. This gives major relief for back pain and is deeply relaxing. Raindrop Technique is a powerful technique developed from Egyptian and Native American energy principles. These are combined with Ancient Tibetan reflexology, various massage techniques and the power of therapeutic-grade essentials oils, to create a truly unique and wonderful experience. Pure, organic essentials oils are dripped onto the spine from a height duplicating the effect of raindrops falling onto the body. Native Americans believed this to purify the body and spirit, interacting with the etheric energy field (aura), as the oil falls towards the body. It is believed to increase the size and frequency of the aura. This can have the effect of detoxifying the body, stimulating the immune system, increasing energetic flow, balancing the nervous system and aiding emotional release and upliftment. 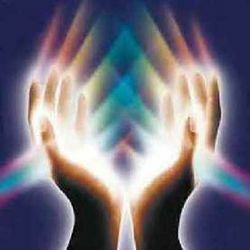 Reiki means Universal Life Force Energy. It is a natural, safe, gentle and welcoming form of hands on healing that restores balance to the body, mind, spirit and soul. The living body radiates warmth and energy and this energy is the life force itself. Justine has had her body's energy channels opened and cleared of obstructions by the Reiki attunements so that she not only gives her own healing but is also connected to the source of all Universal Life Force Energy. The Life Force Energy naturally flows to where it is needed for physical difficulties like muscle and bone pain but also emotional difficulties like anxiety, exhaustion and clearing negative patterns. 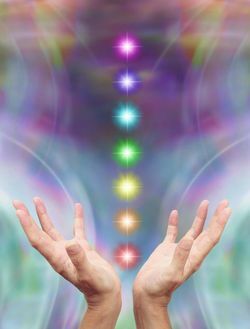 Reiki promotes deep relaxation, nurturing and connection with self, revitalises the body, strengthens the immune system and gives clarity of thought and purpose. Reset directs a natural healing energy through the muscles, nerves and ligaments in the jaw to achieve a state of balance quickly and easily. The feelings we have within us are stored on our faces. Reset is about rebalancing the jaw to give profound improvement throughout the body. The jaw muscles hold tension and stress which is known to affect learning, posture, digestion, sleep, body muscles and much more. Reset can profoundly relieve symptoms. When jaw muscles are deeply relaxed, tension and stress and toxins are released. This releases over 90% of the muscles in the body restoring natural harmony, intuition and direction. Justine uses different techniques in her massages including deep tissue, relaxation and remedial. She combines Horstmann, Reiki, Crystals and Essences into her massages depending on what is needed for each person. She believes massage and touch are essential for our nurturing and well being.